The creation of a local government corporation under Texas Transportation Code Chapter 431 is necessary and convenient to assist with the implementation of the Memorandum of Understanding and the Waller Creek Redevelopment Project. The purpose of the corporation is the implementing the financing, design, construction, maintenance and operation of certain public improvements located within or around the District (Waller Creek Redevelopment Project). See Resolution No. 20110428-014 for additional information. 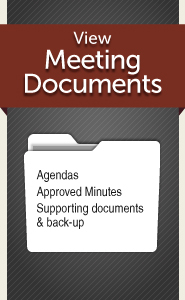 See the agenda or contact the staff liaison for meeting information.